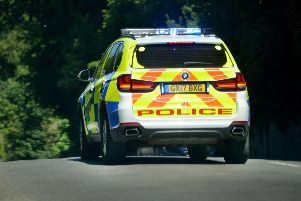 A lorry driver has escaped without serious injury after their dump truck flipped onto its side near East Hoathly last night. The lorry flipped onto its side at the Shaw Roundabout at the A22 near East Hoathly. The driver is believed to have suffered minor cuts and bruises in the crash. The A22 was partially blocked for around three hours while the scene was cleared and the vehicle recovered.